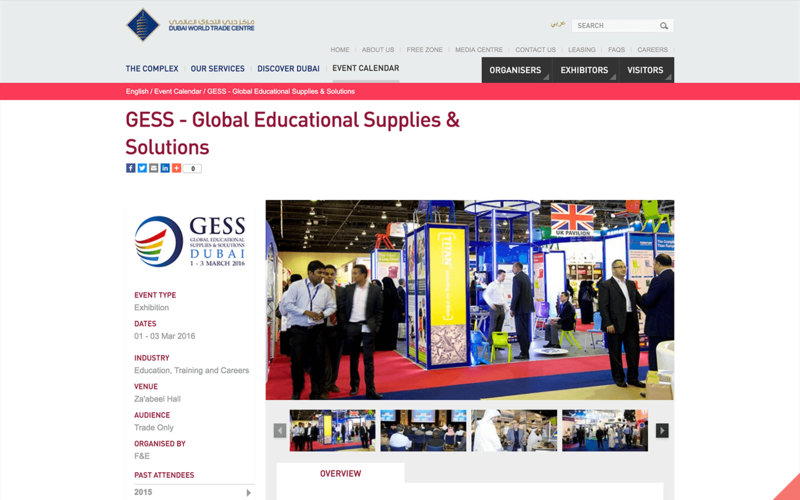 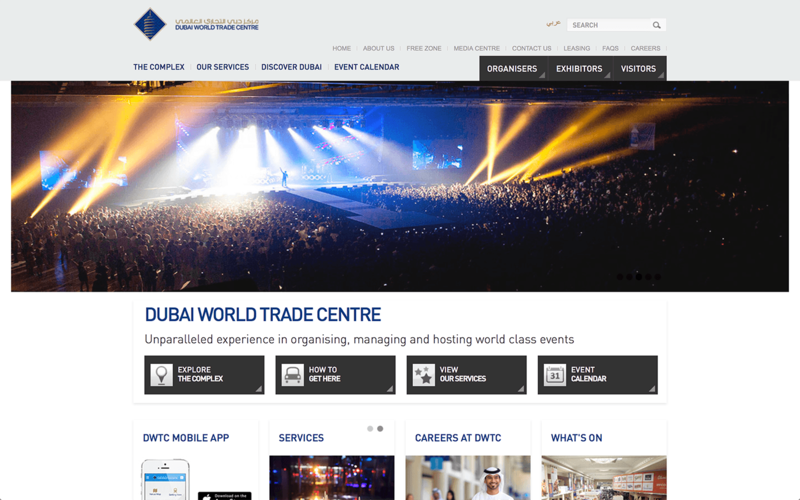 Building a suite of custom web parts and implementing front end technology on top of SharePoint, we provided DWTC with a modular solution that allowed them to implement a lot of content in both languages on to the site quickly. 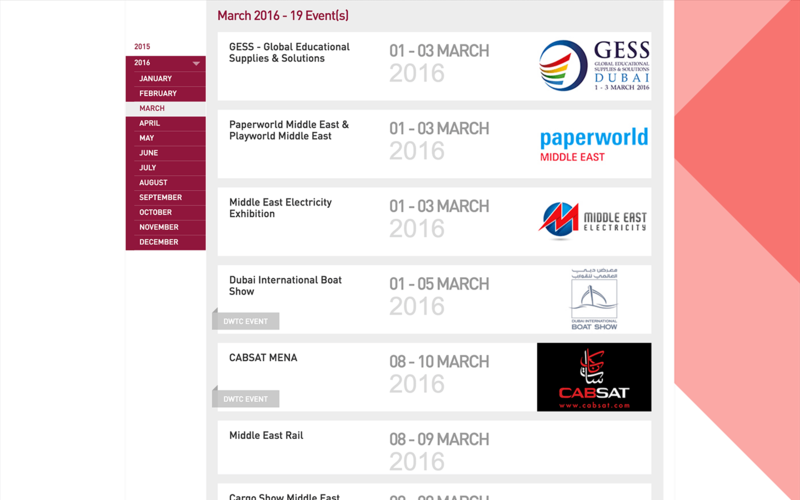 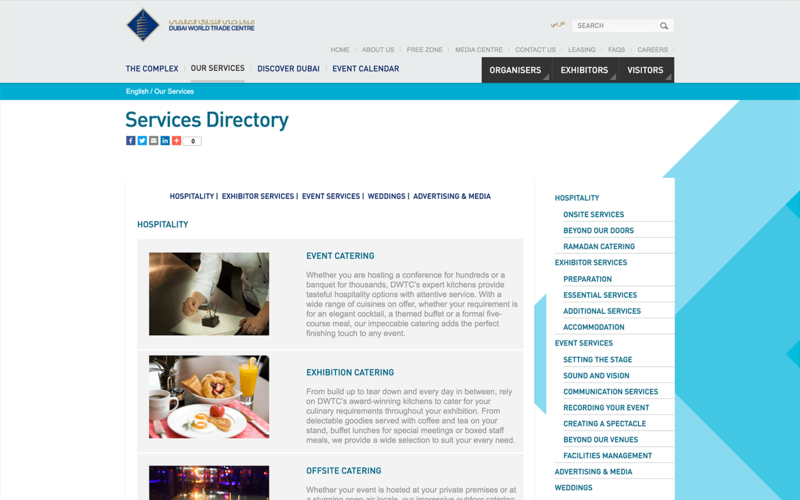 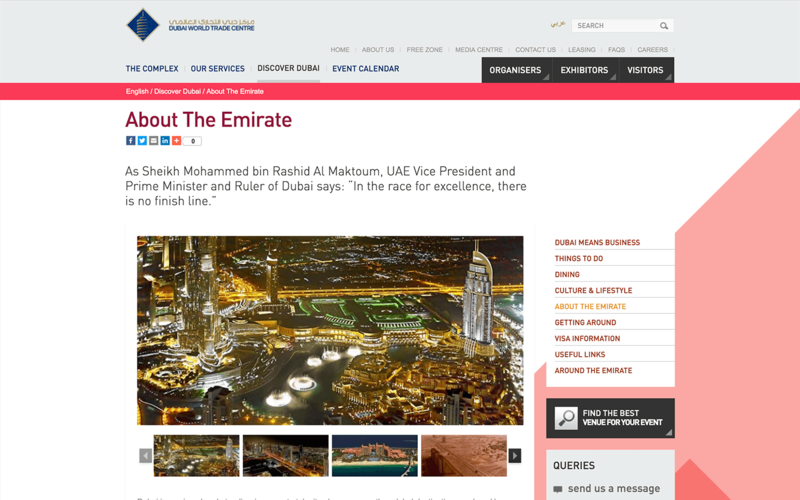 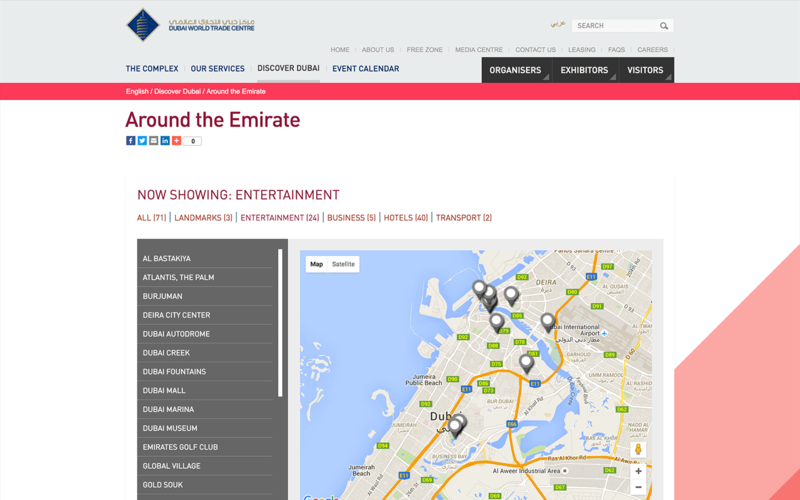 Mega menus, custom Google maps, sliders, video content, content modules, weather feeds, right-to-left support, multi language, you name it, the DWTC.com web site has it. 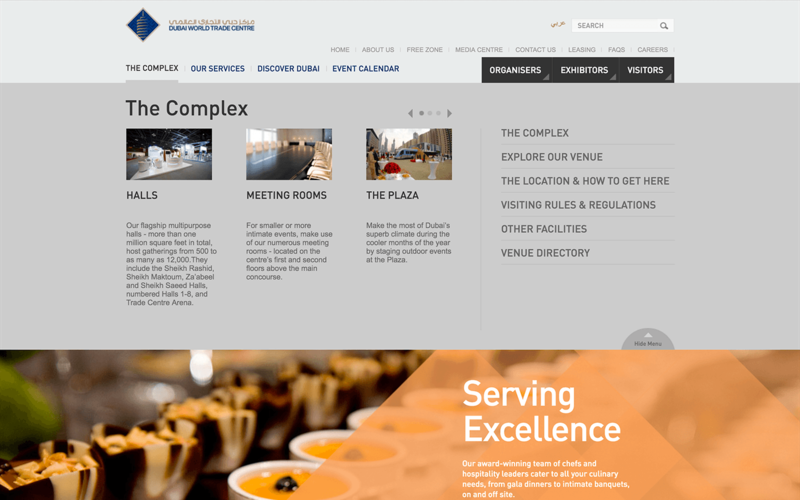 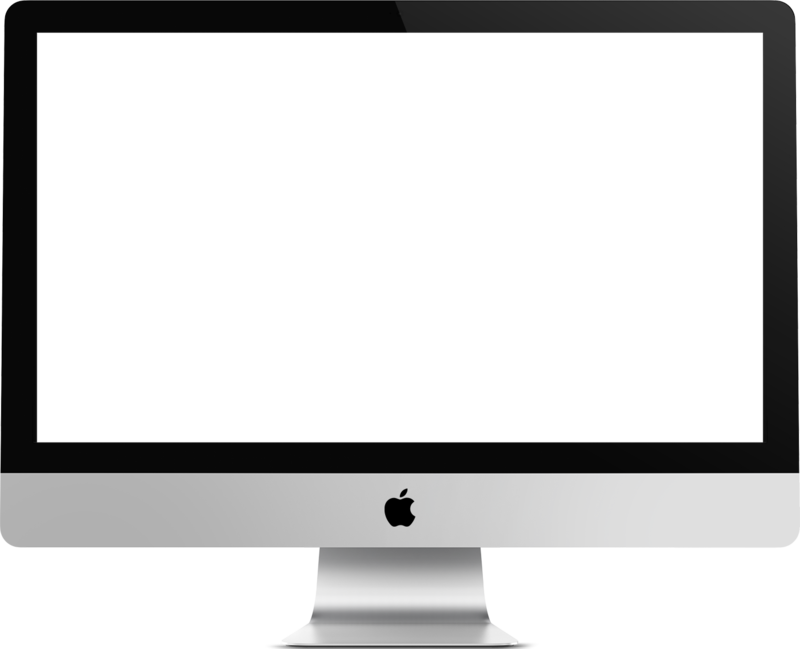 An incredibly flexible system for this heavily content and design driven site.